Excursion registration is now closed. If you would still like to participate, please contact us at conference@icahm.icomos.org. 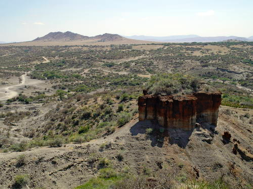 A post-conference tour has been organized to the Ngorongoro Conservation Area (NCA) where we will visit Olduvai Gorge, the Laetoli Footprints, a Maasai Community and the Crater Floor. 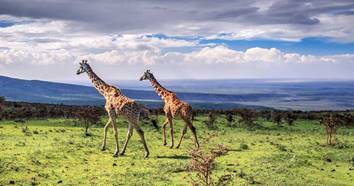 NEW: By popular demand we can now also offer you a SAFARI Extension to the UNESCO World Heritage Site, Serengeti National Park! Please find the details of this unique tour here and in the itinerary below. You can aslo fly from Dar es Salaam (DAR) to Arusha (ARK). There are mid-morning to mid-afternoon flights to Arusha. Pick up and transfer to your hotel in Karatu. The excursion hotels in Karatu are the Hhando Coffee Lodge, Eileen's Trees Inn and Kudu Lodge & Campsite. Our second stop will be Laetoli where we will spend approximately 4 hours. Here we will visit the famous hominin footprints Site G where we will hear from various experts about the challenges associated with conservation of ichnofossil record. We will then visit some animal footprints sites at Localities 7, 11, and 12. 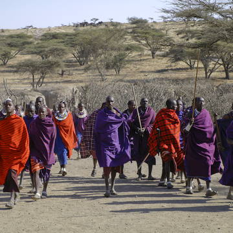 After the Footprints we will visit the Maasai commuties where there will time for discussions with the NCA and Esere/Endulen communities on the role and issues surrounding long-term conservation and sustainable use of cultural heritage assets in their area. After the final visit you will be brought back to again to your hotel in Karatu. Later in the afternoon we will drive back to Arusha where you will stay the night at Safariland Cottage . 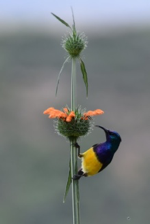 Your adventure begins as we start our day traveling from Karatu through the Ngorongoro Conservation Area. As we reach the Serengeti Park entrance, you will quickly understand how the Serengeti earned its name. In the Maasai language, "Serengeti" means "endless plains." This vast national treasure offers the greatest concentration of plains animals in all of Africa. Some 35 species of plains animals may be seen here including the so-called "Big Seven" - buffalo, elephant, lion, leopard, rhino, cheetah and African hunting dog. We will spend three magnificent nights in this UNESCO World Heritage Site: two nights in the northern Serengeti along the Migration path in a luxury tented mobile camp, and one night in the Central Serengeti. The camp is ideally located on the migration path in the Northern Serengeti - Bologonja area from June through the end of October. The migration camp enjoys one of the most pristine corners of the northern Serengeti, pitched in the tranquil Bologonja region to ensure an exclusive unspoiled taste of Tanzania and surrounded by untouched wilderness. 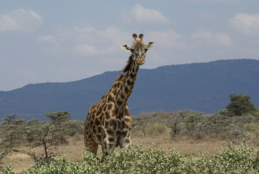 This camp features comfortable accommodations which allow unique opportunities to experience wildlife up close. (more details in the brochure). Depart the morning splendor of an African sunrise as we head out for our daily game drive in the best known wildlife sanctuary in the world. Our guide will expertly negotiate the road and tell us about our surroundings and the wildlife before us. Over two million wildebeest, zebras and gazelle make an annual migration trek, constantly seeking fresh grazing and water, following the rains. The huge herds attract plenty of predator attention from lion, leopard, cheetah and hyena, not to mention the large number of crocodiles lurking in the rivers! After a hearty breakfast, we will head south to the central Serengeti for our final exciting night in the Serengeti. 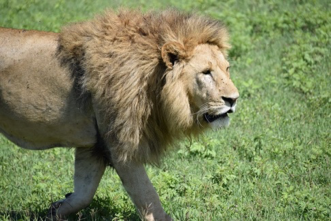 Serengeti National Park is 5,700 square miles large, about the same size as Northern Ireland. Over 20 types of antelope including eland, hartebeest , impala, kudu, reedbuck, roan, topi, waterbuck and the much smaller dik dik, duiker, klipspringer and oribi can be found in the Serengeti. And, of course, there is a rich profusion of birdlife. Over 500 species including the largest of them, the ostrich, as well as bustards, cranes, eagles, herons, owls, storks, vultures and the bizarre, long-legged secretary birds are found in the Serengeti. 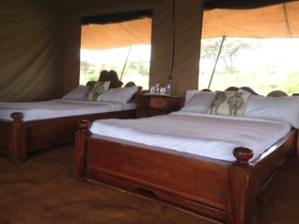 The Seronera Mbugani Camp is located in central Serengeti's Seronera Region. 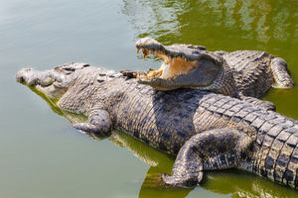 This camp has a nearby permanent, natural water source which attracts wildlife for your viewing pleasure. The permanent camp boasts the same oversized en suite tents as in the Migration Camp. Today you'll say goodbye to the amazing Serengeti... but you will never forget the unique experiences that you've had while here. You will still be "on safari" as we slowly make our way back to Karatu. Eileen's Trees Inn is located in Karatu. The setting is in beautiful tropical gardens. Each room has twin beds or a queen bed with mosquito netting. All rooms have a writing desk and seating on the veranda. 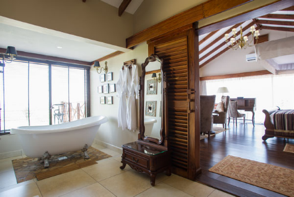 All rooms have private bathrooms en suite, with hot water showers. OPTION: You will be offered the option to book an up-scale lodge in the Karatu area for the last night (at an additional cost). It's the perfect way to end the most incredible adventure one has ever had! Depending on departure flight times, we will drive to Arusha and stop for a visit at Shanga, a heartwarming project which employs disabled Tanzanians who have learned to be artisans. You will be able to see the craftspeople at work and have the chance to purchase some beautiful jewelry and other handmade items to bring home as memories of your awesome adventure. We plan to include lunch before heading to the airport to meet your international flights.